Alban Dennis and Linda K. Morris in Sylvia. Photo courtesy of Seattle Repertory Theatre. The prospect of a woman playing a lab-poodle mix who interacts in plain English with her owners sounds a little hokey, but A.R. 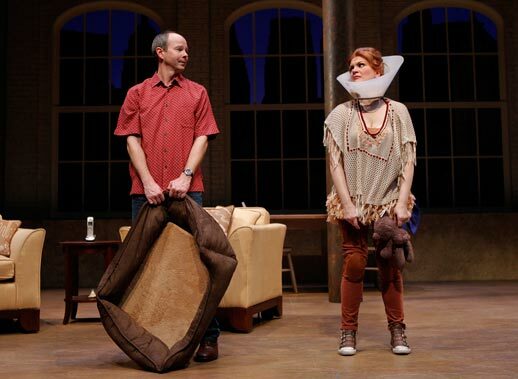 Gurney's humorous and philosophical Sylvia, now on stage at Seattle Repertory Theatre through Dec. 11, delighted both the dog-lover and theater-goer in me. My review is up at Blogcritics.